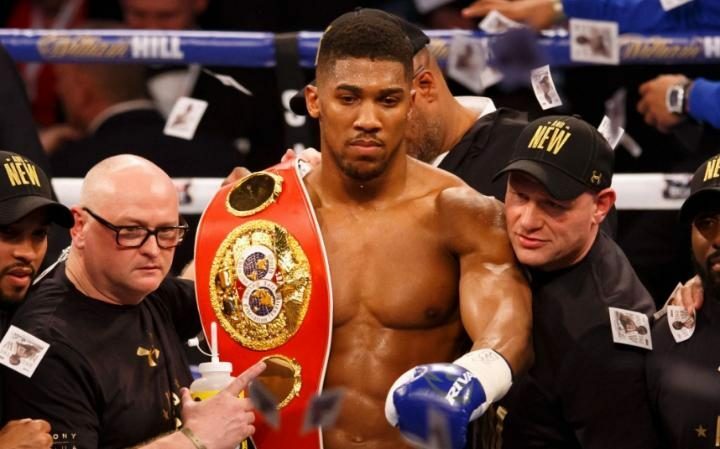 Ring News 24Boxing News Breaking Boxing NewsDid Dillian Whyte Overprice Himself at the Negotiating Table For an Anthony Joshua Rematch? Whyte had a busy 2018 that saw him score a huge knockout over Lucas Brown in March (One of the best KO’s of the year), a tough unanimous decision over Joseph Parker in July, and finally another thrilling knockout over friendly rival Derick Chisora on December 22nd. Whyte’s record of 25-1 (18 KO’s) only has one blemish, a knockout loss to Joshua year back, and he has since improved leaps and bounds. So when there was discussion of Whyte possibly being up next for Joshua for an April 13 date, at Wembley Stadium, it was only natural to assume that we could see the two Brits in a big rematch. Talks and negotiations pressed forward, but slowly you got the sense that Whyte wasn’t happy with what was being offered, as he hinted the rematch might not go through due to his offered purse not being satisfactory. Whyte pointed to his belief that he carries a high name value at this stage of his career as perhaps the reason why he and Matchroom promoter Eddie Hearn couldn’t work a deal out. And while other reports have Joshua now likely in line to face off with unbeaten American Jarrell “Big Baby” Miller sometime in June in his American debut, Whyte has set his sights on once-beaten contender Dominic Breazeale, amongst other names. The location for Whyte’s next fight appears to be the same has his previous three fights; the O2 Arena, on April 20. Breazeale has a 20-1 record with 18 knockouts and he is ranked #4 in the WBC. Whyte meanwhile is #1 in both the WBC and WBO. A fight with Breazeale would be fun, but you have to wonder about Whyte’s line of thinking in preferring that over Anthony Joshua. Sure, he will make some nice money, but nowhere near the kind of money he would have for a rematch with Joshua. Some reports had Whyte in line to make around $7 million for Joshua part II, but maybe that wasn’t a good figure for him. Or, perhaps Whyte has priced himself out of the Joshua rematch, whether voluntarily or involuntarily. A Breazeale fight is far less lucrative, but certainly carries some danger with it. We will see how Whyte comes out of all of this.